← When were the Gospels published? Daniel 10:1 In the third year of Cyrus king of Persia1 a thing [message] was revealed to Daniel, whose name was called Belteshazzar; and the thing was true, but the time appointed was long: and he understood the thing [message], and had understanding of the vision. Daniel was mourning for three weeks when God somehow transported him in spirit and gives him his final vision. He finds himself besides the river Tigris, which was called Hiddekel (probably named that after the river in Eden of the same name). Babylon though was located besides the great Euphrates river. It appears that either an angel or God Himself in his theophany2 appeared to Daniel to reveal the vision. Daniel 10:5,6 Then I lifted up my eyes, and looked, and behold a certain man clothed in linen, whose loins were girded with fine [pure] gold of Uphaz: 6 His body also was like the beryl [a topaz], and his face as the appearance of lightning, and his eyes as lamps of fire, and his arms and his feet like in color to polished brass, and the voice of his words like the voice of a multitude. Revelation 1:13-15 …one like to the Son of man, clothed with a garment down to the foot, and girt about the breasts with a golden girdle. 14 His head and His hairs were white like wool, as white as snow; and His eyes were as a flame of fire; 15 And His feet like to fine brass, as if they burned in a furnace; and His voice as the sound of many waters. Daniel 10:8 … I was left alone, and saw this great vision, and there remained no strength in me: for my comeliness [attractiveness] was turned in me into corruption [deathly pale appearance], and I retained no strength. Daniel was quite old by this time so the fulfillment of the prophecy would not personally affect him, but God revealed it for the sake of the nation of Israel, God’s people, in the latter days. Daniel 10:13,14 But the prince of the kingdom of Persia withstood me one and twenty days: but, lo, Michael, one of the chief princes, came to help me; and I remained there with the kings of Persia. Now I am come to make you understand what shall befall your people in the latter days: for yet the vision is for many days. Daniel 10:20,21 Then said he, Know you wherefore [why] I come to you? and now will I return to fight with the prince of Persia: and when I am gone forth, lo, the prince of Grecia shall come. 21 But I will show you that which is noted in the scripture of truth: and there is none that holds with me in these things, but Michael your prince. These verses indicate the spiritual battle that ensued with the ‘prince of Persia’ resisting the Lord revealing the prophecy. Michael the archangel stood with the Lord to fight these evil spirits, the princes of Persia and Grecia (Greece), who rule through their kings. Daniel 11:1 Also I in the first year of Darius the Mede,3 even I, stood to confirm and to strengthen him. Similar to when God revealed the prophecy to Daniel in chapter 9 the Lord had to assist else these demon princes would have stopped that revelation also. Daniel 11:2 And now will I show you the truth. Behold, there shall stand up yet three kings in Persia; and the fourth shall be far richer than they all: and by his strength through his riches he shall stir up all against the realm of Grecia. Daniel 11:3,4 And a mighty king shall stand up, that shall rule with great dominion, and do according to his will. 4 And when he shall stand up, his kingdom shall be broken, and shall be divided toward the four winds of heaven; and not to his posterity [descendents], nor according to his dominion which he ruled: for his kingdom shall be plucked up, even for others beside those. The Geneva Bible footnote on this verse has Alexander the great as the mighty king, who represents the united Grecian kingdom. As described in the Daniel 8 study that kingdom was broken up into 4 main sub-kingdoms, and was not ruled by Alexander’s offspring. Those events occurred in the transition period before next major power arose, the little horn that came out of the he-goat (Daniel 8:9), which was the kingdom that conquered Greece—that is, Rome. Sir Isaac Newton agrees. In the following all commentary by Isaac Newton is shown in green indented text, excerpted from Ref. 4. Bold are my added emphases. Newton describes the historical sequence of battles and wars between the regions after Alexander’s kingdom was divided. He identifies the King of the South as Egypt (Ptolemy). In the following verses from Daniel 11 I have inserted Newton’s descriptors into square brackets (in bold text) and give some of the history he describes. You can skip all the historical details in you like, as it might be boring for some, but it builds the case that this is fulfilled history. That is the reason I took the time to write this out. Daniel 11:5-12 And the king of the south [Ptolemy] shall be strong, and one of his princes [Seleucus, one of Alexander’s Princes]; and he shall be strong above him, and have dominion; his dominion shall be a great dominion. And in the end of years they [the kings of the South and North] shall join themselves together; for the king’s daughter of the south [Berenice] shall come to the king of the north to make an agreement: but she shall not retain the power of the arm; neither shall he stand, nor his arm: but she shall be given up, and they that brought her [Callinicus], and he that fathered her, and he that strengthened her in [those] times [or defended her in the siege of Daphne.] 7 But out of a branch of her roots shall one stand up in his estate [her brother Euergetes], which shall come with an army, and shall enter into the fortress [or fenced cities] of the king of the north, and shall deal against them, and shall prevail: 8 And shall also carry captives into Egypt their gods, with their princes, and with their precious vessels of silver and of gold; and he shall continue more years than the king of the north. 9 So the king of the south shall come into his kingdom, and shall return into his own land. 10 But his sons [Seleucus Ceraunus, and Antiochus Magnus, the sons of Callinicus] shall be stirred up, and shall assemble a multitude of great forces: and one [Antiochus Magnus] shall certainly come, and overflow, and pass through: then shall he return, and [again the next year] be stirred up, [marching] even to his fortress [the frontier towns of Egypt]. 11 And the king of the south shall be moved with choler [enraged], and shall come forth [the third year] and fight with him, even with the king of the north: and he [the King of the North] shall set forth a great multitude; but the multitude shall be given into his hand. 12 And when he has taken away the multitude, his heart shall be lifted up; and he shall cast down many ten thousands: but he shall not be strengthened by it. Daniel 11:13-19 For the king of the north [Antiochus] shall return, and shall set forth a multitude greater than the former, and shall certainly come after certain years with a great army and with much riches. 14 And in those times there shall many stand up against the king of the south: also the robbers of your people shall exalt themselves to establish the vision; but they shall fall. 15 So the king of the north shall come, and cast up a mount, and take the most fenced cities: and the arms of the south shall not withstand, neither his chosen people, neither shall there be any strength to withstand. 16 But he that comes against him shall do according to his own will, and none shall stand before him: and he shall stand in the glorious land, which by his hand shall be consumed. 17 He shall also set his face to enter with the strength of his whole kingdom, and upright ones with him; thus shall he do: and he shall give him the daughter of women, corrupting her: but she shall not stand on his side, neither be for him. 18 After this shall he turn his face unto the isles, and shall take many: but a prince for his own behalf [the Romans] shall cause the reproach offered by him to cease; without his own reproach he shall cause it to turn upon him. 19 Then he shall turn his face toward the fort of his own land: but he shall stumble and fall, and not be found. Daniel 11:21-28 And in his [Philometor’s] estate shall stand up a vile person, to whom they [the Syrians who set up Heliodorus] shall not give the honor of the kingdom: but he shall come in peaceably, and obtain the kingdom by flatteries [made principally to the King of Pergamus]. 22 And with the arms [which in favour of Heliodorus oppose him] of a flood shall they be overflown from before him, and shall be broken; yea, also [Onias the high-Priest] the prince of the covenant. 23 And after the league made with him [the King of Egypt, by sending Apollonius to his coronation] he shall work deceitfully [against the King of Egypt]: for he shall come up, and shall become strong [in Phoenicia] with a small people. 24 He shall enter peaceably even upon the fattest places of the province [of Phoenicia]; and [to ingratiate himself with the Jews of Phoenicia and Egypt, and with their friends] he shall do that which his fathers have not done, nor his fathers’ fathers; he shall scatter among them the prey, and spoil, and riches [exacted from other places]: yea, and he shall forecast his devices against the strong holds [of Egypt], even for a time. 25 And he shall stir up his power and his courage against the king of the south with a great army; and the king of the south shall be stirred up to battle with a very great and mighty army; but he shall not stand: for they shall forecast devices against him. 26 Yea, they that feed of the portion of his meat shall destroy him, and his army shall overflow: and many shall fall down slain. 27 And both these kings’ hearts shall be to do mischief, and they shall speak lies at one table; but it shall not prosper: for yet the end shall be at the time appointed. 28 Then shall he return into his land with great riches; and his heart shall be against the holy covenant; and he shall do exploits, and return to his own land. This prophecy was given to Daniel about 360 years before these events, which happened around 174 B.C.. The reason I have reproduced a lot of what Isaac Newton wrote about the history here between the Grecian and Roman Empires in and around the Holy Land is because these verses, Daniel 11:21-28, are taught under the futurist interpretation as in some way applying to the AntiChrist, who is supposed to arise in the future, ruling his worldwide kingdom from Jerusalem. This sort of interpretation I blindly accepted for decades. But those who offer that futurist interpretation do not offer any explanation for the preceding verses Daniel 11:5-20. Quite clearly Daniel 11:2-4 applies to the nation states formed from the fragmentation of the kingdom of Greece fragmented. The detail that follows begs to be taken as contiguous history from that time, instead of jumping thousands of years ahead to some future period. So why shouldn’t what follows also apply as a connected series of historical events? In the following verses the history is extended to include fighting among the Greeks then the fall of Greece as the Romans moved into the Holy Land and took it over. Daniel 11:29,30 At the time appointed he shall return, and come toward the south; but it shall not be as the former, or as the latter. 30 For the ships of Chittim shall come [with an embassy from Rome] against him: therefore he shall be grieved, and return, and have indignation against the holy covenant: so shall he do; he shall even return, and have intelligence with them that forsake the holy covenant. Daniel 11:31 And arms shall stand on his part, and they shall pollute the sanctuary of strength, and shall take away the daily sacrifice, and they shall place the abomination that makes desolate. Daniel 11:32-35 And such as do wickedly against the covenant shall he corrupt by flatteries: but the people that do know their God shall be strong, and do exploits. 33 And they that understand among the people shall instruct many: yet they shall fall by the sword, and by flame, by captivity, and by spoil, many days. 34 Now when they shall fall, they shall be helped with a little help: but many shall cling to them with flatteries. 35 And some of them of understanding shall fall, to try them, and to purge, and to make them white, even to the time of the end: because it is yet for a time appointed. These verses have been portrayed by the futurist interpretation as Endtime witnesses who battle against the AntiChrist. But they describe the persecutions of the Early Church. It was certainly antichrists that persecuted the early Christians, and that has continued through the centuries since. Daniel 11:35 leaves the time period open—until the end. So this persecution of the true Church continues until Christ’s return. Daniel 11:36,37 And the king shall do according to his will; and he shall exalt himself, and magnify himself above every god, and shall speak marvellous things against the God of gods, and shall prosper till the indignation be accomplished: for that that is determined shall be done. 37 Neither shall he regard the God of his fathers, nor the desire of women, nor regard any god: for he shall magnify himself above all. Newton now describes a new Emperor who arises out of the division of the Roman Empire. This king rises to power initially out of the Greek empire (Eastern Empire) of the old Roman Empire (after Constantine the Great made it a holy Roman empire). Celibacy for Monks and Nuns was introduced. Eventually only Monks could hold ecclesiastical office and become Bishops. A Bishop was the leader of the Church in a city. Superstitious pagan practices were subsumed from the Romans as by this time everyone had to be a Christian by law. Daniel 11:38,39 But in his estate shall he honour the God of forces: and a god whom his fathers knew not shall he honour with gold, and silver, and with precious stones, and pleasant things. 39 Thus shall he do in the most strong holds with a strange god, whom he shall acknowledge and increase with glory: and he shall cause them to rule over many, and shall divide the land for gain. Daniel 11:40-43 And at the time of the end shall the king of the south [or the Empire of the Saracens5] push at him: and the king of the north [or Empire of the Turks] shall come against him like a whirlwind, with chariots, and with horsemen, and with many ships; and he shall enter into the countries, and shall overflow and pass over. 41 He shall enter also into the glorious land [Israel], and many countries shall be overthrown: but these shall escape out of his hand, even Edom, and Moab, and the chief of the children of Ammon.6 42 He shall stretch forth his hand also upon the countries: and the land of Egypt shall not escape. 43 But he shall have power over the treasures of gold and of silver, and over all the precious things of Egypt: and the Libyans and the Ethiopians shall be at his steps. The Temple mount is located in Jerusalem which lies between the Mediterranean sea and the Dead sea. 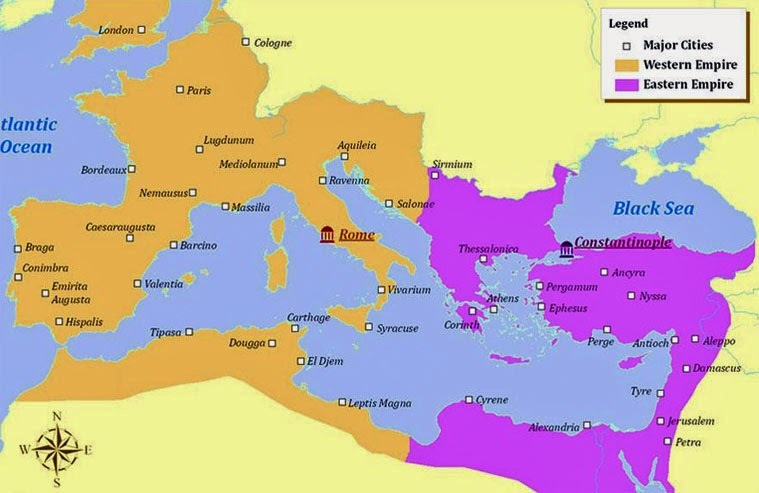 Through the power of the Greek division of the old Roman Empire the new ruler continues the Greek reign over the kingdoms that were once controlled by the united kingdom of Greece. But it is a new power. This new power in the region had absolute power and builds his churches through these lands including the Holy Land, even replacing the Roman Temple on the holy Mount with his own. In 325 A.D. Constantine built an octagon church on the site. See Daniel 9 study. Daniel 11:44,45 But tidings out of the east and out of the north shall trouble him: therefore he shall go forth with great fury to destroy, and utterly to make away [exterminate] many. 45 And he shall plant the tabernacles of his palace between the seas in the glorious holy mountain; yet he shall come to his end, and none shall help him. Cyrus’ third year would have been ca. 533 B.C. and Daniel would have been nearly 90 years old. The 70 years of captivity would soon be coming to an end. A theophany is an explicit appearance of God to a person. 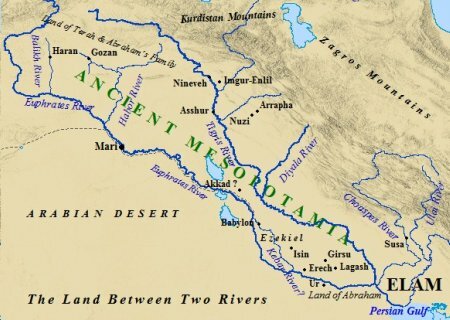 First year of Darius the Mede, Viceroy of Babylon was 538 B.C. Isaac Newton, Observations upon the Prophecies of Daniel, and the Apocalypse of St. John, Chapter XII. Saracens were Ishmaelite descendents amongst the Arabs. The countries of Edom, Moab and Ammon are now parts of Jordan. This entry was posted in Bible prophecy, The Papacy, Trials and temptations and tagged abomination of desolation, Alexander the great, AntiChrist, Antiochus, Antiochus Epiphanes, Catholic Church, Constantine the great, Daniel 10, Daniel 11, Egypt, Endtime, Greek Empire, Isaac Newton, Latin Roman Church, Latin Roman Empire, Ptolemy Epiphanes, Roman Catholic Church, Rome, Sir Isaac Newton, spiritual warfare, Temple to Jupiter Capitolinus, the book of Daniel, trials and tests. Bookmark the permalink.